For TIG welding mild and stainless steel. With main current control from 5 –160A, slope down time, 'bi-level current control', torch switch and remote control sockets. Optional hand or foot controls. 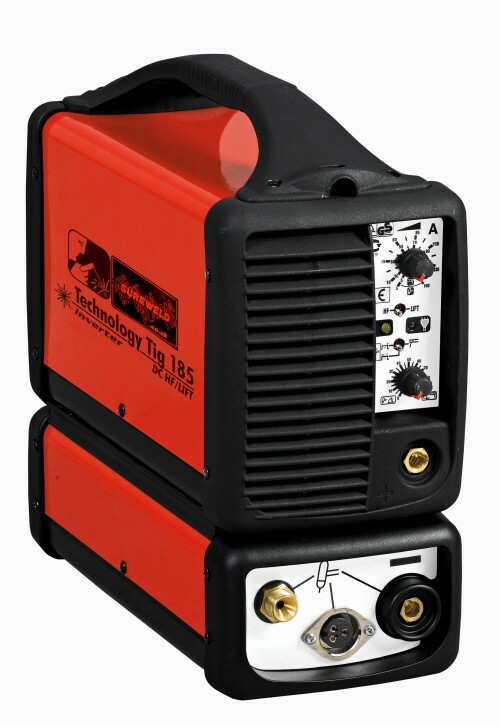 Primarily for MMA but can be used for scratch start TIG. ‘Dinse’ 25 type output sockets. Hot start and arc force. Thermostatic protection.